- Simple & Maintenance free system. - Very less investment and long service life. - Useful for removing stress(patti), dust, small stones and immature seed cotton. - Machine is provided with feeding rollers for uniform feeding of lint to the machine. - Rigid structure, good quality bearings and dynamically balanced rollers for smooth and vibration free operation. - The rejected cotton of the first scan is collected separately (mostly for the whitepp and bigger impurities) and the second separately(for the smaller color impurities) helping us to check and remove the impurities in a better fashion. - The sensitivity can be tuned separately. 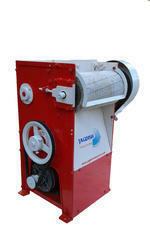 Texaco- Coimbatore manufacturing Textile Blow Room machines and Cotton waste Recycling machine. 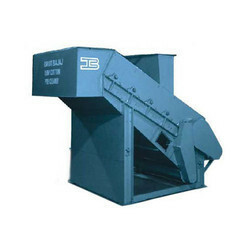 This machine consists of Feed rollers and Pinned beater lags with Adjustable setting grid bars which is cleans the Cotton Dropping waste as well as opens throughly. We are counted amongst reckoned names in the industry, committed towards manufacturing a wide gamut of Cotton Kodi Cleaner Machine. We are successfully meeting the varied requirements of our clients by providing the best quality range of Cotton Cleaning Machine. - Supply Voltage : 440V AC, 50 Hz. Effective opening of ginned cotton lint and separation of trash particles. Removal of seed-coats, loats, leafy matters, micro dust, very short fibres and small sized fibre clusters from the ginned cotton lint by about 30% to 45%. Cleaning capacity of 1500 kg of cotton lint per hour. Significant improvement in cotton grade. The most effective way of removing foreign particles like feather, color cloth bits discolored threads, yellow fabric pieces by line Scan cameras and high density impurities like white/transparent polypropylene, plastic, colored polythene bag fragments using sonic acoustic / ultrasonic sensing. Detected materials are ejected through high-speed nozzles by pneumatic air jets.